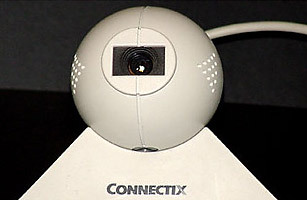 In 1994 the Web was still mostly unheard of in Main Street America, but users in the know likely had one of Connectix's $100 QuickCams atop their computer monitor. It sent 16 shades of gray at 15 frames per second with a resolution of 320x240 pixels over the Web to other QuickCam owners. The oldest known QuickCam stream is StevesAntFarm.com, which debuted in January 1995.